Goodreads: You’ve heard the raves about the Tony Award-winning Broadway musical, Hamilton. But what happened to ‘Dear Theodosia,’ the fiery daughter Aaron Burr serenades? 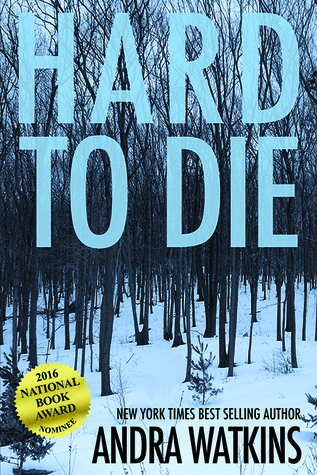 Hard to Die is an engrossing speculative fiction novel that provides a new take on the uncharted fate of Theodosia Burr Alston, daughter of Alexander Hamilton’s murderer. Theodosia disappeared at sea in 1813. In Hard to Die, she reappears almost 150 years later with one assignment: Help a living soul navigate a life-changing crossroad or be erased from history’s timeline, forgotten forever. Former spy Richard Cox is a West Point cadet. But his former commander presents him with an impossible ultimatum: Return to spying… or die. Theodosia and Richard are immersed in a world where no one is as they appear. As they fight their attraction, they must learn to trust each other – or become pawns for a bigger foe determined to see them fail. Kritters Thoughts: This was book two in a series, but is self contained, so you aren't missing much starting at book two. Theodosia Burr Alston died in a mysterious way and so she hasn't transitioned into the next "world" or something. She is stuck in Nowhere and has to do a good deed to be able to move forward. This book was completely out of my comfort zone with spirits and ghosts, but it worked a little for me because I am quite the historical fiction fan. Of course this book is also on point right now because of the whole Hamilton craze, so if you want more about Burr and his time after Hamilton this book hinted at his life through Theodosia's eyes. I am on the fence about reading the first book and continuing on in this series. I enjoyed the historical parts, but I didn't love the complete concept of the book, I couldn't get past why she had to help someone to move on. I wanted more of the historical bits. Has anyone read the first book in this series? Should I try it?